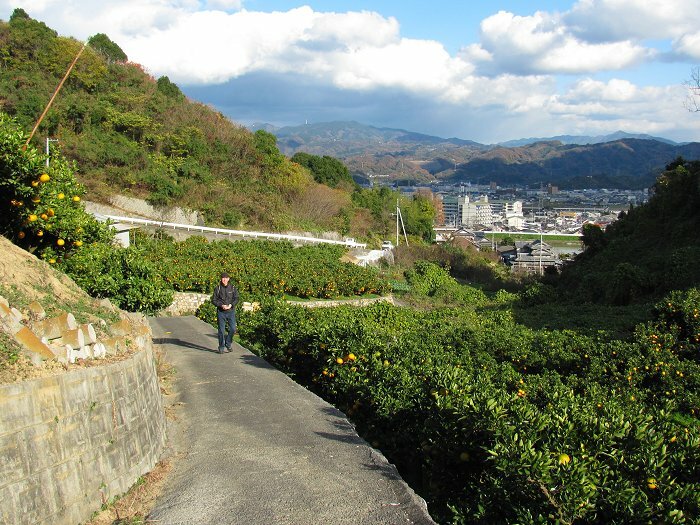 It took a bit of route-finding, but we finally located the old pilgrim path that wound through orange groves and over a low ridge before making it's descent toward Taisan-ji. A couple of farmers offered us oranges from their trees when they found out we were pilgrims. My first gift as a Shikoku pilgrim!